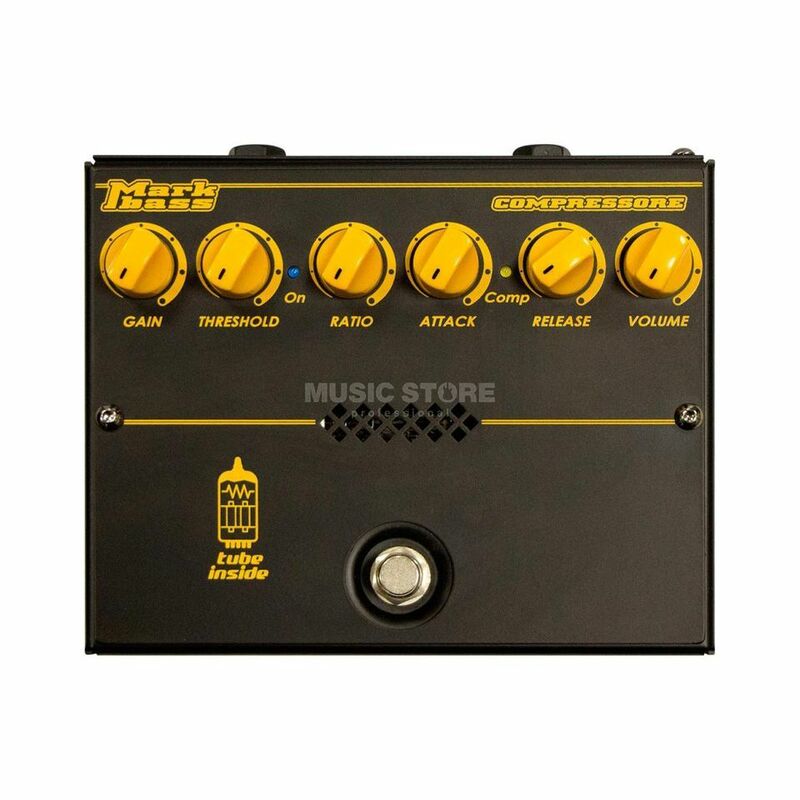 The Markbass Compressore Bass Guitar Effects Pedal is a state-of-the-art tube compressor, allowing a great deal of control over the compression effect. The Markbass Compressore is a rugged, well-built pedal and professional, studio-like controls including Threshold, Ratio, Attack, Release, Gain and Volume. Threshold and Ratio determine the level in the signal at which the compressor affects the sound and by how much, while the Attack and Release controls determine how quickly the signal is compressed and for how long. The Gain knob controls the amount of instrument level being sent to the compressor, and the Volume control sets the output volume of the pedal. The Markbass Compressore is equipped with an ECC81 valve to provide a natural, tube compression. The Compressore has true bypass to preserve the signal when the pedal is switched off. There is a blue LED which lights up when the pedal is switched on, and a yellow LED which lights up when the signal is being compressed, becoming brighter or dimmer the more or less the signal is being compressed.